Buy 80-150kg/h peanut oil processing line - Shandong Leader Machinery Co.,ltd. 1. Design universal balancing device, it is effective to balance each side's running skewing. 2. Adopt advanced chained transmission, this technology is awarded the country The utility model patent certificate. 3. Reduce noise and energy consumption. Energy conservation and environmental protection. 4. Setting temperature sensing device in internal chamber, the temperature of frying materials can be adjusted by hand. 5. Automatic warning device. The machine can warn automatically after the oil baking reaching setting temperature, point out the oil is ready to be ejected. 6. Additional setting electric control box, convenient to operate. 1. Maximum lifting height is 4.5 meters. 2. The hopper will stop hoisting oil automatically when the oil press is full. 3. It will alarm automatically when there is no oil in the oil press. 4. It will clean the dust automatically in the process of hoist. 5. One key to operate, durable and safe. 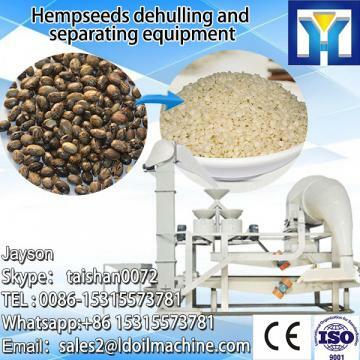 It can widely used to squeeze peanut, beans, rapeseed, sunflower seed, sesame, walnut, and other oil crops. Reform the original two level and three level squeeze into four level squeeze. It can ensure enhancing oil rate and reducing squeeze chamber temperature. So the oil has a larger output and high-quality. Grinding-in is the necessary operation in filter cloth type oil press, and it is easy to be out of order if your mastering is not good. Therefore, our factory adopt special equipment--broaching machine to make the squeeze components pulling and molding in one time, and polish precision and automatic. It improves the squeeze system's process precision and degree of finish. The oil press machine's round row, squeeze spiral, bar row are easy to be abraded under extrusion pressure. In order to increase wearing coefficient, our factory updated heat-treating facility. It increases the heat-treating temperature and carburized case depth, and extends the wearing parts' service life. Choosing the most reasonable gear ratio and realizing the maximum energy output. Adopting portable type continuous oil press. It can realize the separation of oil and dregs fastly and wipe out phospholipid in oil and colloid impurity. The oil after processing will not foaming and reach the country edible oil standards, it can be sale in supermarket immediately after filling in bottles. Setting internal heating in squeeze chamber and do not need preheat, the crude oil can rise temperature automatically. You can squeeze and refine oil at all seasons. 1. Applicable to accept customer's materials for processing and small-scale oil processing factory. 2. It consist of degumming pot, decoloring pot, and hoisting system. 3. This device adopt food grade whole stainless steel material. 4. Equiped with auxiliary material measuring device, automatic temperature control device, thermal insulation device, feeding buffer device. 5. It can realize crude oil degumming, deacidification, drying and decoloring. 1. Infuse the filtering crude oil into degumming pot, and pour auxiliary material into pot to heat. 2. Start the stirring device, enter degumming, deacidification, and other oil refining process. 3. The oil after drying and dewatering can be automatic hoisted to decoloring pot, and finished whole refining process. 1. The oil refining by YJY-L2 machine has a pleasant color, brightness and transparent. 2. There is no sediment with laying aside long term. 3. Not foam and smoking in the cooking process. 4. Reach the country edible oil standard. For the whole 80-150kg/h peanut oil processing line,warranty is 12 months,within 12 months,if have equipment quality problems,we will provide accessories freely. After the expiration of the warranty period,if have spare parts problem,we only receive the cost of required replacement parts.We commit we will provide free technical support of equipment all whole life. Our company has engaged in producing and exporting 80-150kg/h peanut oil processing line for many years, and until now, our machine has exported to overseas market, such as Brazil, India, Indonesia, Russia, Thailand and so on, and get the foreign customers' unanimous praise. We believe that you purchase Shandong Leader Machinery Co.,ltd. 80-150kg/h peanut oil processing line is your best and sensible choice.